U-30 Painted Ukuleles ? 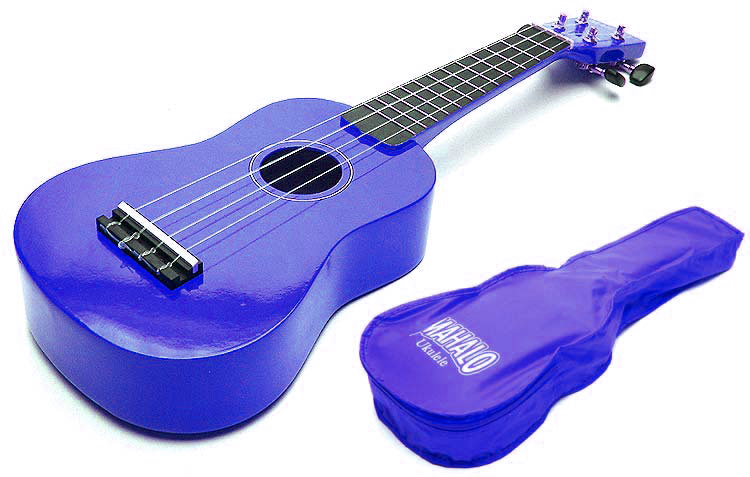 Rainbow colors and an affordable price make these ukes a big hit! It's no surprise that the ukulele is more popular than it has even been. Especially today when instruments are getting better and better, even at the most affordable end of the price spectrum. That means good news for any musician - young or old, novice or pro! Mahalo Painted ukuleles are the best choice in affordably priced and extremely well made soprano-sized instruments that are designed to sound great, play easy and most of all be affordable, too! Select from 11 fantastic colors, each with a matching gig bag, and it couldn't be easier to learn how to play the ukulele today! Making its first major appearance in the USA at the 1915 Panama-Pacific International Fair in San Francisco, the ukulele continues to delight and attract fans of every age, gender and skill level. Little has changed in the design of these diminutive tonal powerhouses; which is a testament to the design perfection achieved right from the start. The most popular and often the most affordable shape continues to be the soprano size. It's easy to carry, has that traditional sound and can be remarkably affordable, too. The Mahalo Painted Uke Series was designed to be affordable without sacrificing tonal quality or playability. To accomplish this, maple was chosen for the construction of these fine instruments and results in a crisp, bright edge to the characteristic warm, airy island sound that is most familiar to all. Normally, affordable ukuleles are often perceived to be more "toy-like," than taken seriously as a genuine musical instrument. With Mahalo Painted Ukes, you can be sure that each instrument is constructed with the same attention to detail the one might expect in more costly instruments. From all angles, the construction is clean, and the fit and finish will exceed expectation. The Painted Series is available in a few choices of colors to assure mass appeal, each with an accompanying color-matched gig bag. The painted fingerboards have accurately spaced, smooth and polished frets, while the guitar-style, geared tuners are more accurate than planetary-style tuners; effectively taking the guesswork out of tuning.